Michael Horn, CEO of Volkswagen Group of America, is leaving his post immediately. Another Volkswagen executive is out. 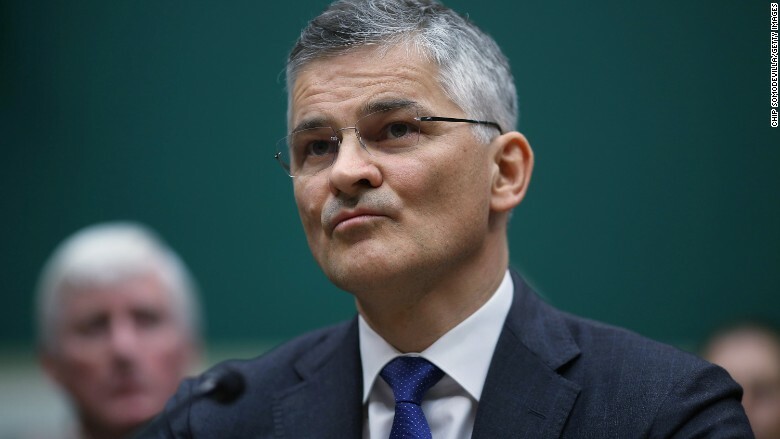 Volkswagen Group of America said Wednesday that CEO Michael Horn is leaving his post "effective immediately." Horn, the company said, will "pursue other opportunities" after reaching a "mutual agreement" with Volkswagen Group -- its international parent company that's been mired in a growing scandal over falsified emissions tests. The CEO of Volkswagen Group, Martin Winterkorn, resigned in September, shortly after the Environmental Protection Agency accused the car marker of installing software in some of its diesel-powered cars that altered the engines' performance when being tested for emissions. The effect was to make the vehicles appear cleaner than they were on the road. The company is being sued by U.S. authorities. If the maximum fines are applied, they could total $18 billion. When Horn testified at a Congressional committee hearing in October he denied knowledge of any wrongdoing. "This was not a corporate decision. To my best knowledge today, this was a couple of software engineers who put this in for whatever reason," Horn told committee members. Horn's departure from Volkswagen Group of America comes after more than 25 years with the company. He's held roles including head of global sales and head of European sales, the company said in a statement. He took over as CEO of the American Volkswagen branch in January 2014. Hinrich Woebcken, the recently-named head of North America and chairman of Volkswagen Group of America, will be the interim CEO.